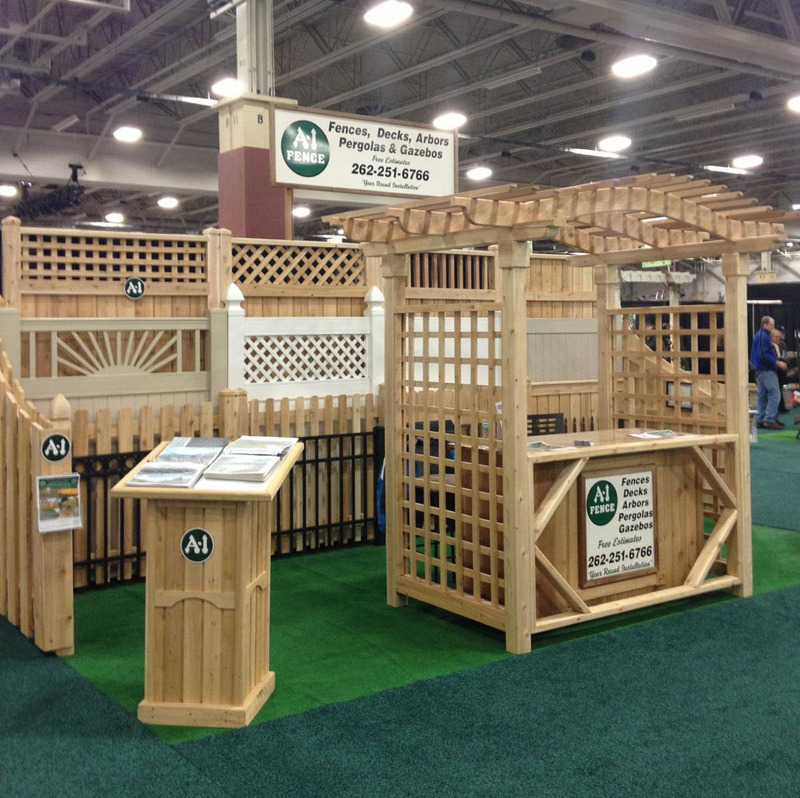 We’ve been having a blast at the Milwaukee Realtor’s Home and Garden show, which kicked off on March 15th and is open again this weekend. Come on out and check out our booth! 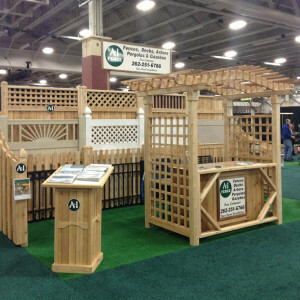 We’d love to answer any questions you have about our company or the types of fences we install. The show will continue until March 24th so there’s still plenty of time to pay us a visit. The show is located at the State Fair Park and Expo Center on Greenfield Avenue in West Allis. Admission is $8.00 for adults. Children under 12 get in free. There’s a lot of really cool stuff to see. We love Bruce Niemi’s sculptures. There’s also a Sustainable Solutions Garden that’s incredibly cool. You also don’t have to invite all of those contractors out to your house. You can see what they have to offer and get a feel for their personalities before asking about a bid. If you’re planning on making any changes or upgrades to your home this year it’s definitely worth the time it takes to swing by. It’s also just a really fun family event! You can read more about the show by clicking on this link. We’d love to see you there this weekend!